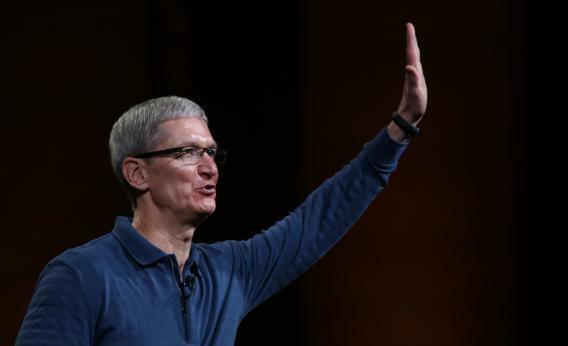 Apple innovation: Tim Cook promises "exciting new product categories" by 2014. Apple CEO Tim Cook has been criticized for “playing defense” rather than inventing new products. The Apple of the last decade was a non-stop invention factory, truly an extraordinary company. The Apple in front of the curtain today looks more like an extraordinarily rich, ordinary company. That has become the conventional wisdom in the past year or so, and it has helped to cut the company’s stock price nearly in half. But it has always struck me as a bogus argument. Apple launched three legitimately pioneering products in the last 10 years of Jobs’ life: the iPod in 2001, the iPhone in 2007, and the iPad in 2010. That’s one “new product category” every three to six years. So the earliest anyone should have been expecting the next one was right about now. For that to happen, work likely would have had to start on it while Jobs was still at the helm. CEOs don’t just will products into life in an instant. They often bubble up from the ranks, and even once they get the green light, they take time to develop, refine, and build. Even if Tim Cook had decreed on his very first day that everyone in the company immediately begin work on some innovative new product, there’s a good chance it wouldn’t be ready for market yet. That’s good news for Apple fans, and should put to rest the strange notion that a company with 50,000 employees in the United States alone has given up on inventing things simply because it has a new CEO. But as my colleague Farhad Manjoo points out, it does reveal one thing that has changed in Cupertino in the past two years. In the past, Apple didn’t have to promise exciting new things. It just delivered them. Perhaps that had something to do with Jobs’ personality and philosophy. But it had at least as much to do with his myth—the aura of near-infallibility that the company acquired during his reign. That died with him, even as the company’s innovative spirit lives on.